Last week a small update hit the Google Play Music app but on the surface there wasn’t much new. 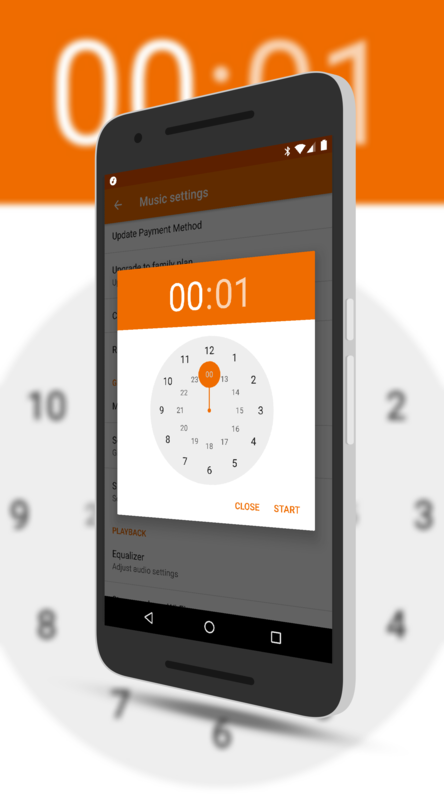 However, within the settings of Google Music you will now see the option for a Sleep Timer. Essentially it acts like a countdown timer and when it expires, it pauses your music. The idea, as the name suggest, is to play some music to help you go to sleep then shut down so you aren’t playing music all night or running down your battery if your phone isn’t charging. This new feature is in version 6.13.3321 for those keeping score at home and you likely got the update last week if you have the app installed. your sleep timer to be. You can make it as short as 1 second and as long as 23 hours, 59 minutes so there is no real limit. Once you have the timer set to the length you want, tap Start and it will start the countdown. Now just select the music or playlist you want to listen to and when the timer expires, even if it is in mid-song, the music will be paused. While I like the idea of the timer and am glad to see it in Google Music, it would be good to see Google add this to the main menu instead of having to dive down into Settings to get to it. Also, it would be great to see some pre-defined times (30 minutes, 1 hour, 3 hours, etc.) in the options for the Sleep Timer instead of the drag timer wheel that is in the app today. Still, it is good to see it here in the first place but refinement would be welcomed too. You will know if you have the latest version of the app if you see the Sleep Timer option in Settings. For those who haven’t tried Google Music, you can download it free in the Play Store.